Sid Miller Texas Agriculture Commissioner talks to member of the press at the Pharr-Reynosa International Bridge on Wednesday, May 2, 2018 in Pharr. 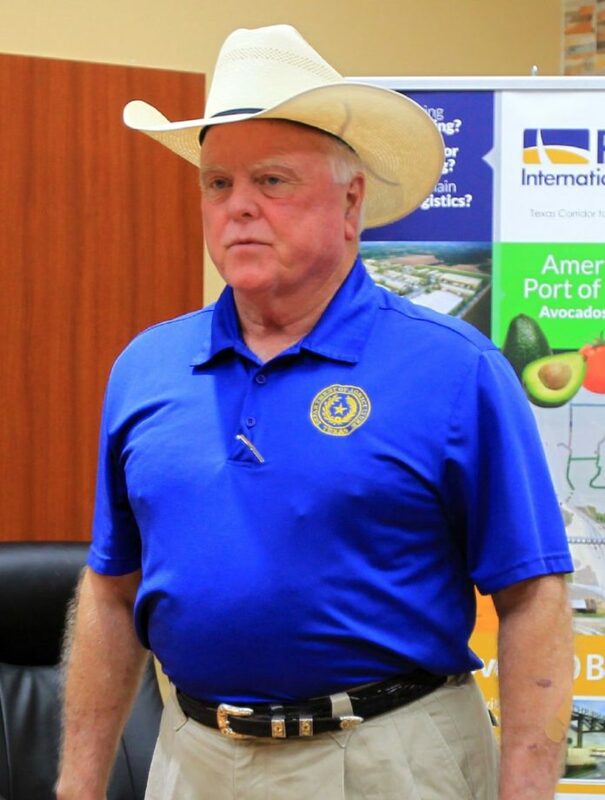 PHARR — Texas Agriculture Commissioner Sid Miller visited the international bridge here on Wednesday and was briefed on the status of bridge produce crossings. Miller met with city officials, spoke briefly with media throughout his visit and was updated on current and future infrastructure projects on both the U. S. and Mexican sides of the border. The bridge is the largest land port of entry for produce in the United States — a title the bridge did not hold when Miller last visited in 2016, he said. With the North American Free Trade Agreement under negotiation, Miller said he hopes the deal will wrap up before the Mexican election brings in new leadership. He also said he hopes a new agreement benefits Texas and the Valley.